The American Pet Products Association (APPA) reported that in 2015-2016 there were about 78 million dogs owned in America and that they could be found in about 50% of all households in the nation. This number represents about 25% of the total population of the United States. As can be seen by these numbers, it is only a matter of time before you or someone you know comes in contact with a dog. Generally speaking, most people’s interactions with dogs are positive ones. This is because often dog owners act responsibly, and many dogs are well-behaved. Unfortunately, these animals can also be responsible for unpredictable and sometimes violent confrontations with humans or other animals that result in injuries. Approximately 40% of all fatal dog attacks involved a loose dog that was off of the owner’s property. When someone is a victim of a violent dog attack, his or her rights are governed by state law. It is a widely accepted misunderstanding that the owner of a dog who injures another will be held strictly liable for injuries suffered. There is a rule specific to dog attacks, however, followed by many states known as the “one bite rule.” Under this legal doctrine, an owner will be held strictly liable for injuries caused by his or her animal only if the owner knew, or should have known, the animal’s vicious or dangerous propensities. If the court finds the owner was negligent, he or she will be held financially responsible for injuries suffered by the victim as a result of the dog attack. 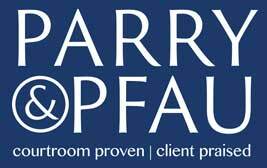 If you or a loved one has been injured as a result of a dog attack or bite, contact the Nevada attorneys at Parry & Pfau to discuss your case at no obligation. Because evidence can be destroyed and wounds heal, it is important to speak to a lawyer right away to preserve any evidence that may support your case. Newer PostIs it Legal to Use Marijuana in Nevada? Older PostIs it Legal to be Asked About Salary History in a Job Interview?